If You’ll Pay for Braces, Why Won’t You Pay for Vision Therapy? Imagine a world that puts as high a premium on a fully-functioning visual system as it does on straight teeth. That’s the concept Kim Jelinske, The Vision Therapy Center’s Office Manager, lobbed at me the other day as we were discussing the bewildering world of medical insurance. 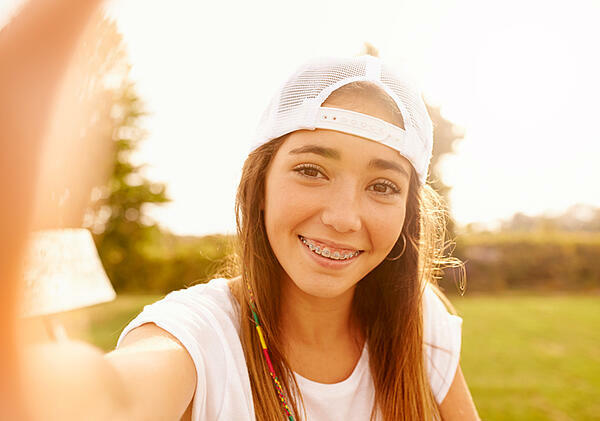 Understand her argument: In our society, if parents find out their kids need braces, they grudgingly pony up the bucks to pay for them. It’s not cheap, either. Anecdotally, it seems like the parents I’ve met shell out anywhere from $1,500 to $5,000 for braces. I appreciate the value of straight teeth and a great smile. I’m not at all condemning that. As a matter of fact, I too will be shelling out cash shortly to fix my daughter’s teeth. But, as Kim asked, why do people so willingly plunk down the cash for braces, which are not fully-covered by medical insurance, but we won’t do the same for vision therapy? Why are out-of-pocket costs okay for some things, and not for others? The fact that people have to pay out-of-pocket is a given with most. Insurance companies have decreed that they won’t cover certain procedures, and we as a society accept it. What I don’t understand – and I share Kim’s frustration here – is why would you put a higher premium on straight teeth than you do on a functioning visual system? Because vision is so critical to learning, why wouldn’t you want your visual system running at peak performance? 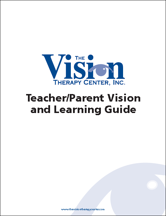 Paying for vision therapy will help improve a child’s ability to function in school and someday at work. It will help improve their ability to read, to think and to succeed academically. Do you have doubts that it will work? This is medicine, folks. There are no guarantees with anything. Check out the research that’s been accumulated backing the efficacy of vision therapy. Look at the thousands of people across the nation that have experienced tremendous gains through vision therapy. Most importantly, knowing that you have highly skilled, medically-certified people like Dr. Kellye Knueppel and Dr. Brandon Begotka handling your case, you should feel relieved, not doubtful. They are developmental optometrists; the “developmental” part of their title means they have received specializing training in a focused area. As their foundation, their training and accreditation is the same as any other optometrist in the country. Sometime soon, my wife and I will pay out-of-pocket to fix our daughter’s teeth, and we’ll do it knowing that this cosmetic change will improve her life down the road. It’s the same reason why, five years ago, we spent a similar amount of money on vision therapy. It was the best money we ever spent, and we’d do it all over again. I’m hoping that for the good of all kids suffering from vision problems, more people start to feel the same way.